Superdry men’s Track & Field sweatshirt. Whether you’re spending your weekend at home or out and about, stay comfy with this Track & Field jumper. Featuring a crew neckline, stripe panelling on the sleeves, and a ribbed hem and cuffs. The sweatshirt also has a large Superdry graphic across the chest with a cracked effect finish, giving it that vintage look. 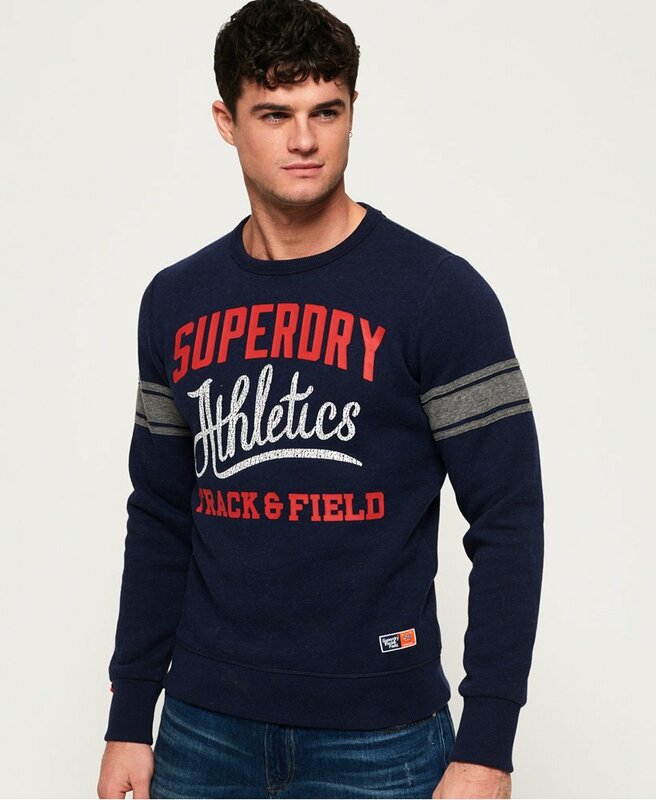 This jumper is completed with a Superdry Track & Field logo patch just above the hem.